The Super Bowl is one of the most highly anticipated annual events in popular culture. But for many people tuning in, the advertising breaks are every bit as compelling and competitive as the game itself. Unlike last year's ads, many of which were characterized by pointed political commentary, this year's crop was decidedly more light-hearted. So, which brands stood out as the clear winners? Tide has been working through a crisis with the emergence of the Tide Pod Challenge, where teens eat (or at least joke about eating) the small detergent packages. The crisis was even mentioned by Procter & Gamble’s CFO in its latest earnings call. But the three Tide ads shown during the Super Bowl has everybody talking about the brand today for all the right reasons. Tide turned conventional advertising on its ear by inserting itself into the classic styles of familiar ad genres, such as those for cars, beer or medicine. 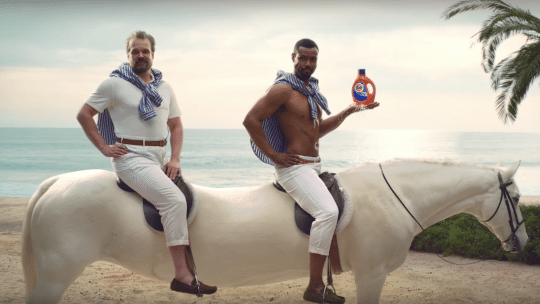 The parodies were so successful that many viewers were left guessing which ads would end up being Tide ads after all. However, in USA Today’s Ad Meter results, which measures public opinion of Super Bowl ads, the winner was Amazon’s “Alexa Loses Her Voice” ads. 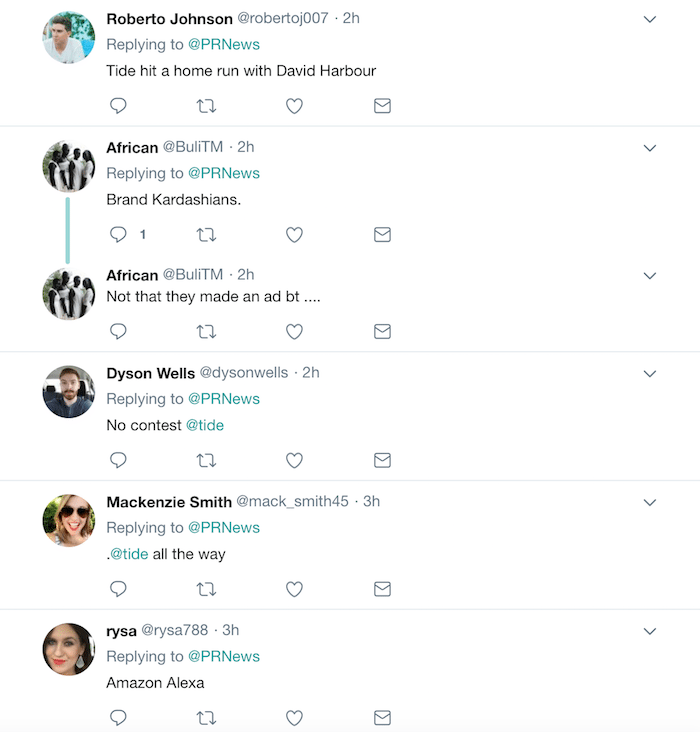 While previous Alexa ads emphasized the convenience and utility of the Echo product, the Super Bowl ads, using celebrities and comedians as stand-ins for Alexa, focused on humor and, in the process, humanized the product and the brand as a whole. Coming in second on the Ad Meter was the NFL’s “Touchdown Celebrations to Come,” with a dancing Eli Manning and Odell Beckham Jr., helping to soften the image of a sport that certainly suffered its share of controversy this season. Interestingly, Tide only ranked 16th on that survey. On the flip side, one brand’s ad stood out as completely tone-deaf, much more hurtful than helpful. Dodge Ram’s “Built to Serve” advertisement used a sound clip of Martin Luther King, Jr., to help sell trucks, and the backlash has been swift and significant. The King Center, founded by Coretta Scott King, quickly tweeted a statement noting that neither it, nor the its CEO, Bernice King (Martin Luther King, Jr.'s youngest daughter) was asked for permission to use his voice in the ad. Chrysler, the parent company to Dodge Ram, also issued a statement Sunday night in defense of the advertisement. But on several levels, the ad was a bad idea from the start and made Chrysler the clear loser of the evening. But the clear winner of the evening was Tide. 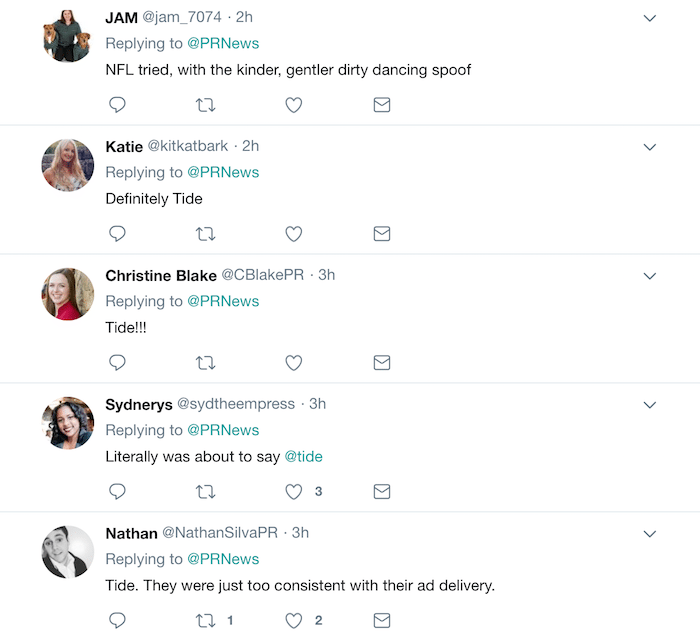 When we asked our PR community for their take on the best ads, Tide was the overwhelming favorite. 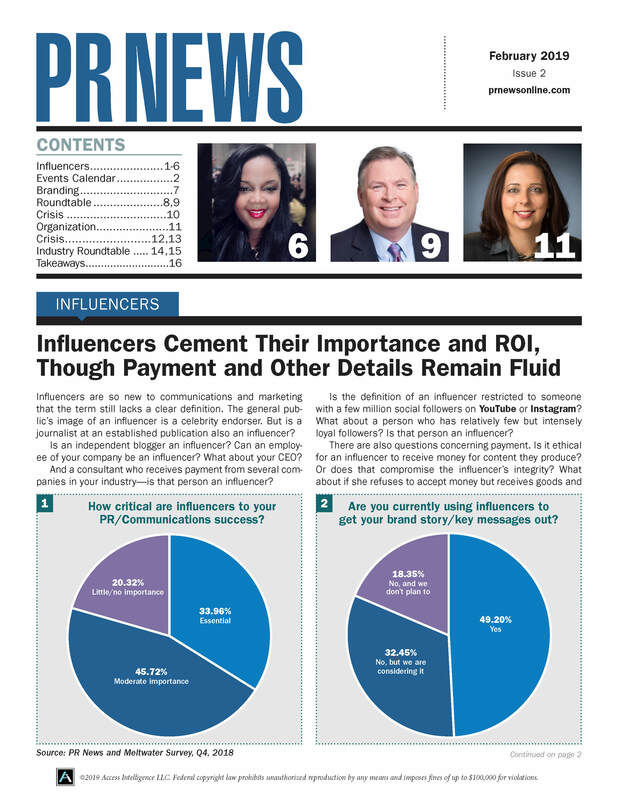 Hey PR peeps... Which brand do you think helped itself the most with its #SuperBowl ad?